Le Blog de Frivole: Tat-ilicious Indeed! Earrings tatted in "Chilled", size 20. Did you create the pattern for the earrings, or where is it from? They are very sweet! Hi, yes, my pattern but so simple really... based on the same idea as the Tischband flower with repeated chains and then I added another round in the middle which is just rings because I didn't want the flower to be "flat". One more question: How did you attach the pearl? Did you just glue it? No, I sewed it on, using the the thread ends from the centre element. I've not tried, but I don't really like the idea of using glue with tatting... but no doubt it would work too. Pretty thread and pretty earrings. Very nice combination of color size an bead!!! Very pretty!! Love the color! Lovely; simple and elegant in these coloured thread. very pretty ! the color seems to be blue and chocolate, isn't it ? HI Ancolie, no it's actually a greyish purple, looks very nice with the blue. It's always a bit difficult with colours on monitors, isn't it? These are gorgeous! Wish I could figure out how to construct things without a step-by-step pattern. This looks like something I could make, if I only knew how. 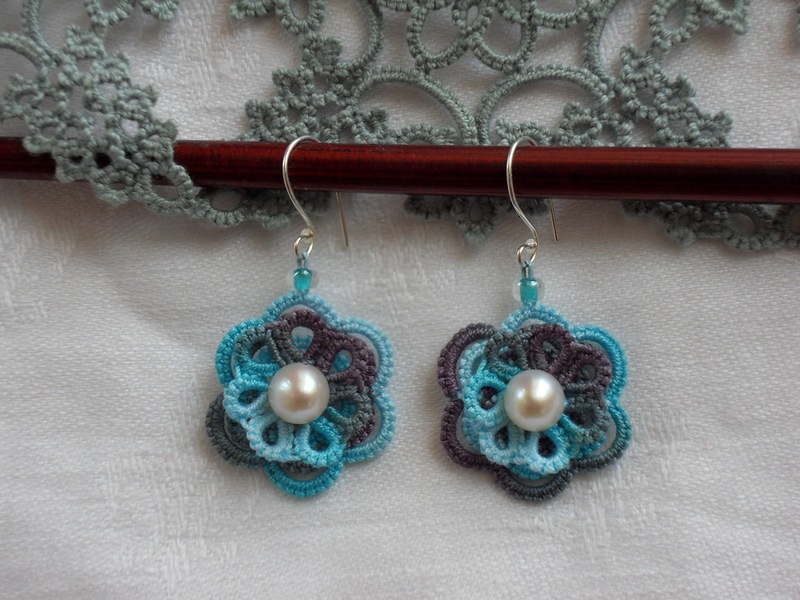 There's so much to learn in tatting!